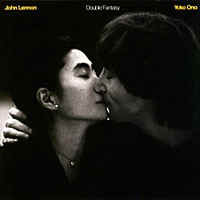 "Double Fantasy" was John Lennon's last album released during his lifetime and is a collaboration with Yoko Ono. It was released on Nov. 17, 1980 (US & UK) to mark the return of John's five year hiatus from the music business. Double Fantasy won a Grammy award for best album of the year for 1981.